Peer pressure is not something we just face at school, as adults we face pressure as well, whether from our friends, colleagues, community, and social networks. If the majority of a group is doing a certain thing, it becomes increasingly difficult not to follow. This can affect many different aspects of behaviour, from what we wear, to what we eat, how we vote and even decisions we make with our money. The bandwagon effect is a type of groupthink. As more people adopt a particular belief, behaviour, or trend, so grows the temptation to also "hop on the bandwagon”. It is human nature to want to conform. If it seems like everyone else is doing something, then we may feel tempted to be doing it too. Common examples of the bandwagon effect include trends and fads in fashion, TV shows and technologies, and the adoption of certain diets or fitness fads. The more followed and talked about, the more accepted they become. But when it comes to finances the bandwagon effect can be risky. Following what everyone else is doing may result in a decision that does not fit our own situation and needs. Examples abound of people being caught up in the hype of a booming market and panic selling on the way down. These often irrational decisions are driven by the wave of emotion that builds as the crowd moves in a particular direction. For many the consequences can be significant. Take the dot-com boom and bust around the late 1990s/early 2000. At that time, there was a lot of excitement around the tech and internet sectors and people had forgotten about the fundamentals of investing. This resulted in share prices being substantially higher than the true value of the companies. When it became apparent that prices were over-inflated, the prices of shares came tumbling down. Many people bought into tech stocks as they felt like it was the place to invest - everyone else was doing it and at the time prices were increasing, but in the end, many lost a lot of money. Some people use the bandwagon effect to their advantage, by taking a contrarian approach that goes against the market trend. These people actively seek opportunities that result from crowd behaviour. This requires strong discipline. Managing our finances and making decisions with our own money needs careful consideration. Everyone has different levels of income, assets and debt as well as different timeframes, priorities and goals, so what works for the crowd may not always work for you. Trends in financial products, services, and strategies will come and go. You might be tempted to invest in a share because it is the “hot stock”, or buy a house in “up and coming area” or you might sell out of an investment because it’s what the majority of other people are doing or because the messages in the media are signalling that you should do so. 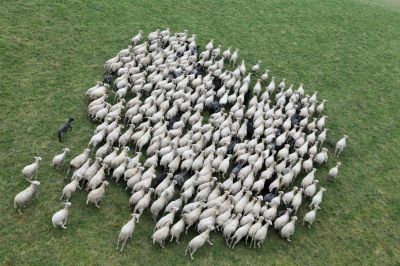 Bandwagon effect is not necessarily bad but it is important that you recognise when it may be affecting your decisions. When this happens, stop for a moment, think about what it is you’re trying to achieve, does it fit your strategy, does it tie in with your goals, and does it feel comfortable for you? If in doubt, seek advice before you take action. The bandwagon effect, is just one form of cognitive bias that can influence our decisions and behaviours. Learn more about these in our article Mind Games: What’s Your Bias?